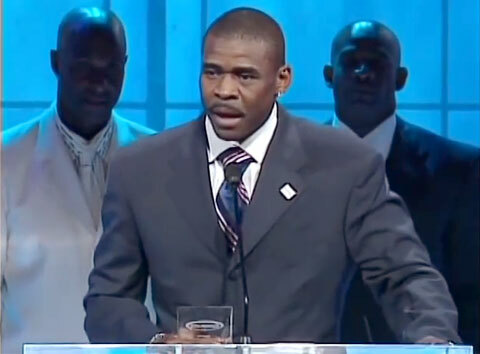 Watch Michael Irvin honored at the 2007 Sports Spectacular event. The event provides funding to the Genetics Research Institute at Cedars-Sinai Hospital. Michael Irvin is a former wide receiver for the Dallas Cowboys and a former broadcaster for ESPN’s NFL Countdown. He is regarded as one of the best wide receivers in the NFL. He was self-nicknamed “The Playmaker” due to his penchant for making big plays in big games during his college career when he played at the University of Miami. Playing Field Promotions is a booking agent for pro athletes and celebrities. Irvin is also a popular motivational speaker. If you would like to book Michael Irvin for a speaking event or appearance, contact Michael Irvin’s booking agent for speaker fees at 1.800.966.1380.